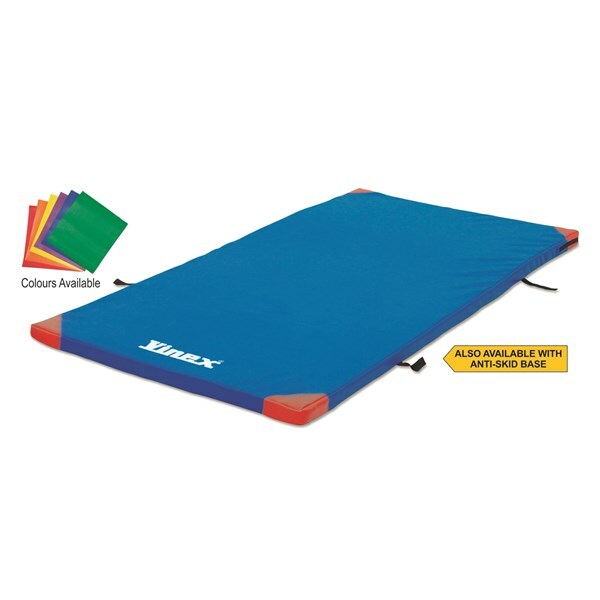 Multi-purpose crash / jump landing mat. Great stability and shock absorption. 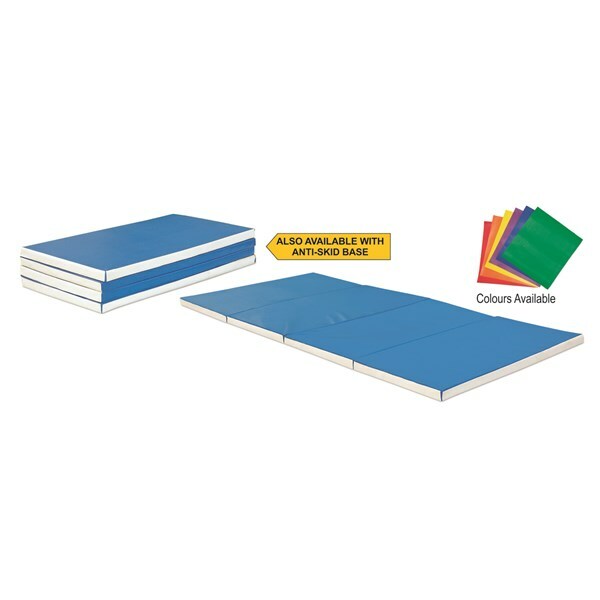 Cover made of strong PVC coated Nylon fabric. Two handles on both sides of the mat for easy carrying. Long zipper on 3 sides so that foam can be inserted easily. Size: 3 m x 2 m x 30 cm. VCRM-3230T ...... ...... With PU foam. VCRM-3230TCO ...... ...... Crash mat cover only. 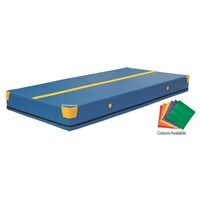 Gym mat cover made of PVC coated fabric and filled with E.P. Foam. If you need velcro on sides, please confirm while placing order. Other sizes are also available, please ask for more details. 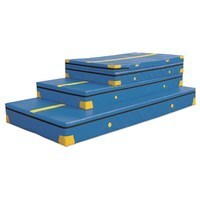 Note: Also available with anti-skid base. Gym mat cover made of PVC coated fabric and filled with PU Foam. If you need velcro on sides, please confirm while placing order. Other sizes are also available, please ask for more details. 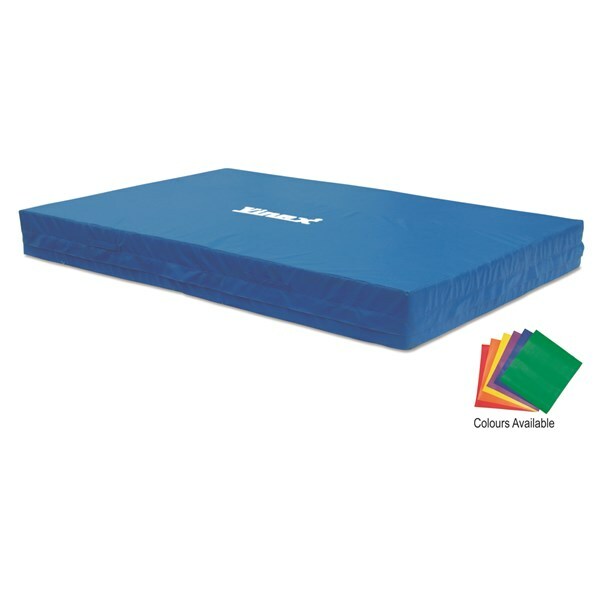 Gym mat cover made of PVC coated fabric. Without foam. If you need velcro on sides, please confirm while placing order. Other sizes are also available, please ask for more details. VCRM-A3230 ...... ...... With PU Foam. VCRM-A3230CO ...... ...... Cover only, without PU foam. 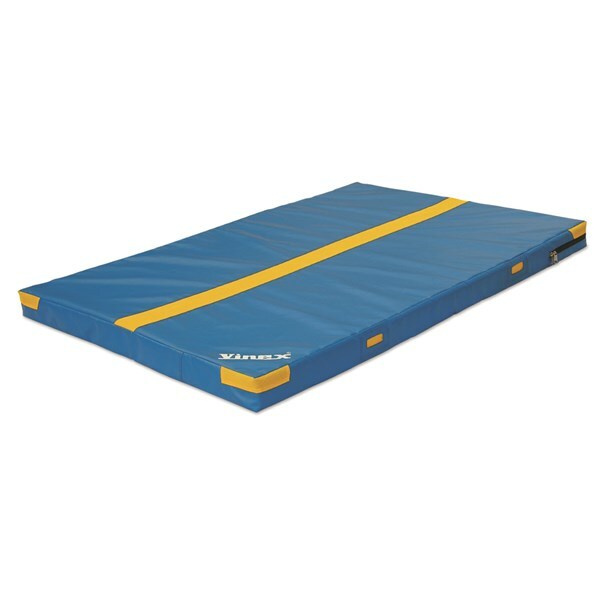 Multi-purpose crash / jump landing mat foldable with new air flow technology for smoother landing and better shock adsorption. The yellow part of the mat is a specially designed strong mesh fabric, which allows the air to pass through it when athletes land on the mat. Cover made of strong PVC coated Nylon fabric. Two handles on both sides of the mat for easy carrying. Long zipper on 3 sides so that foam can be inserted easily. 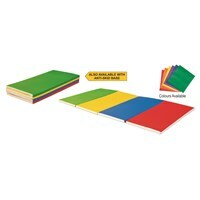 Size: 3 m x 2 m x 30 cm (after folding 1.5 m x 2 m x 60 cm). VCRM-AF3230CO ...... ...... Cover only, without PU foam. VCRM-AF3230 ...... ...... With PU Foam. New Gym mats foldable from Vinex with air flow technology for smoother landing and better shock adsorption. The yellow part of the mat is a specially designed strong mesh fabric, which allows the air to pass through it when athletes land on the mat. Cover made of strong PVC coated Nylon fabric. Two handles on both sides of the mat for easy carrying. Long zipper on 3 sides for large mats so that foam can be inserted easily. Comes with PU foam. Available in different sizes. New Gym mats from Vinex with air flow technology for smoother landing and better shock adsorption. The yellow part of the mat is a specially designed strong mesh fabric, which allows the air to pass through it when athletes land on the mat. Cover made of strong PVC coated Nylon fabric. Two handles on both sides of the mat for easy carrying. Long zipper on 3 sides for large mats so that foam can be inserted easily. Comes without foam. 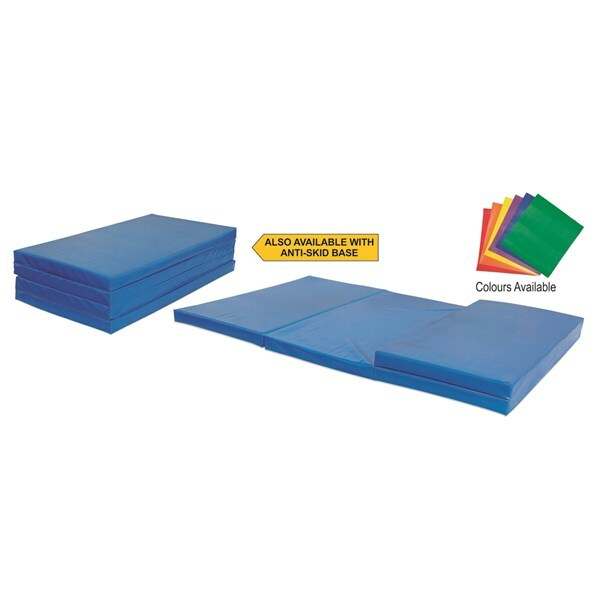 New Gym mats made of PVC coated fabric with 4 folding panels, E.P. foam and without Velcro. Comes in single colour and different sizes. 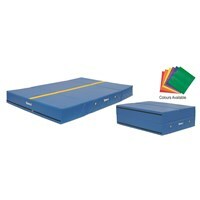 Blue is a standard colour, if you need different colour please confirm while ordering. New Gym Mat Covers only from Vinex with air flow technology for smoother landing and better shock adsorption. The yellow part of the mat is a specially designed strong mesh fabric, which allows the air to pass through it when athletes land on the mat. Cover made of strong PVC coated Nylon fabric. Two handles on both sides of the mat for easy carrying. 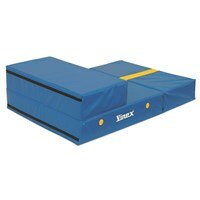 Long zipper on 3 sides for large mats so that foam can be inserted easily. Comes without foam. New Gym mats from Vinex with air flow technology for smoother landing and better shock adsorption. The yellow part of the mat is a specially designed strong mesh fabric, which allows the air to pass through it when athletes land on the mat. Cover made of strong PVC coated Nylon fabric. Two handles on both sides of the mat for easy carrying. 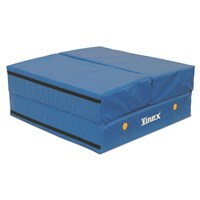 Long zipper on 3 sides for large mats so that foam can be inserted easily. Comes with PE foam. Available in different sizes.